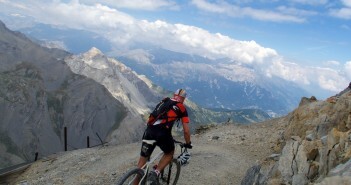 You are at:Home»Posts Tagged "mountain bike"
A list of most of the highest unpaved cycling roads in the Alps. Photos, maps, profiles, etc. Including 5 that reach +3000 metres. Col de Chérel is another little known, deserted, tough, climb, from Lake Annecy. This is a relatively tough, truly quiet, loop in the Bauges Alps. 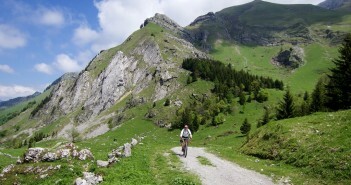 Note: The top several kilometres of both cols are unpaved roads – I had my 29er mountain bike. 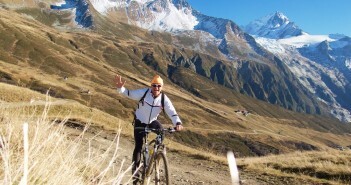 My Favourite Mountain Bike cycling climbs in the Alps – maps, photos, route descriptions. Col de Crozet. 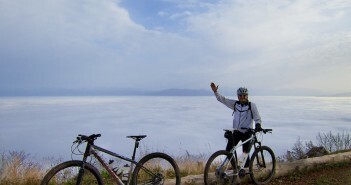 Mountain Biking in the Jura Mountains. Map, photos, route description. 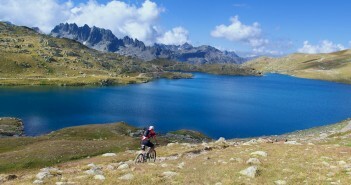 A challenging but beautiful little mountain bike ride above Argentière ski station near Chamonix. Map, photos, route description. Cycling in the Alps near Mont Blanc.